OMAHA, NE– United Distributors, Inc. today announced it has received the honor of Business Excellence from the Water Quality Association (WQA), the leading voice of the water treatment industry. WQA’s Business Excellence program calls attention to top differentiation within the industry and a commitment to the values and high standards of the Association. WQA’s Business Excellence features a distinct gold-trimmed logo to visually underscore United Distributors, Inc.’s commitment to the new program. The program singles out WQA members who make a special commitment to business excellence, the values of WQA and to advancing the betterment of water quality. 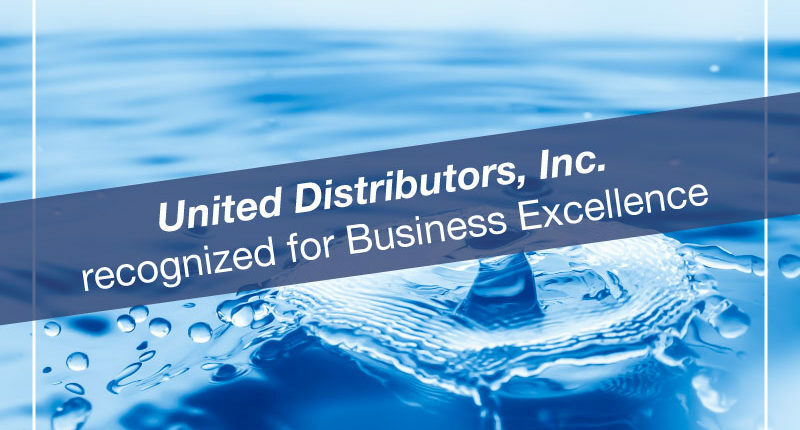 United Distributors, Inc. is a recognized expert in all water filtration and conditioning technologies. Founded in 1979 by Rory Sherman, MWS, CFS-V, CI, in Omaha, NE. United Distributors offers a full spectrum of soft water and water treatment products and services for the home or workplace. For more information, please visit cleanwaterguys.com.